Today we had a little bit more wind than yesterday, but it was still a beautiful day out at sea. 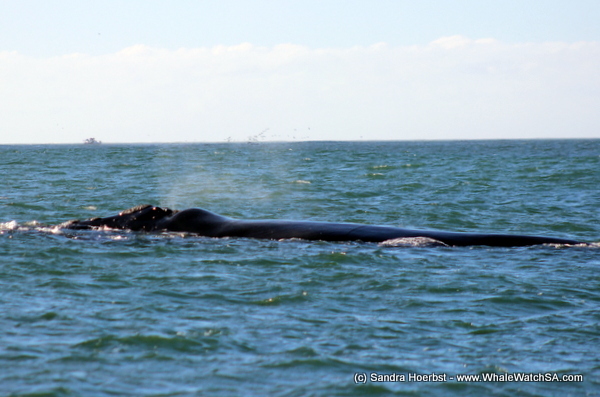 Shortly after launching from the harbour we spotted our first mother calf pair in Uilenkraalsmond. 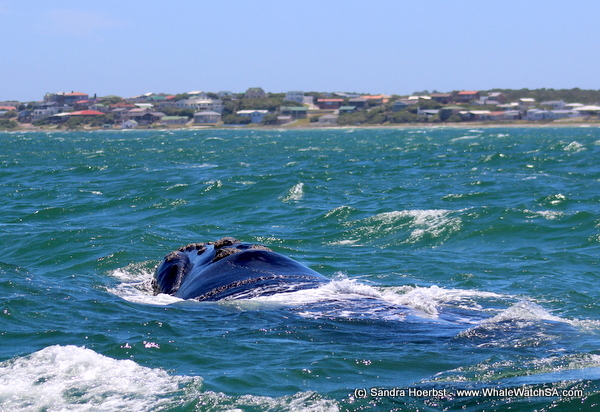 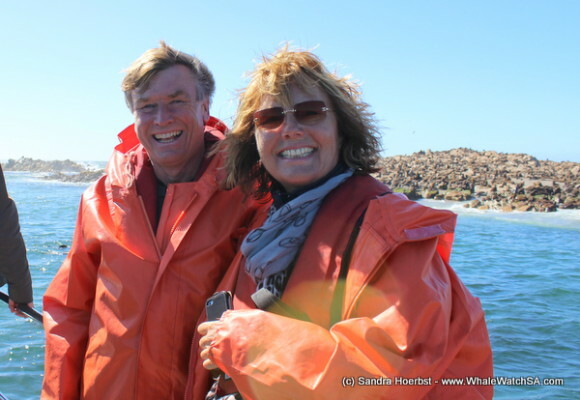 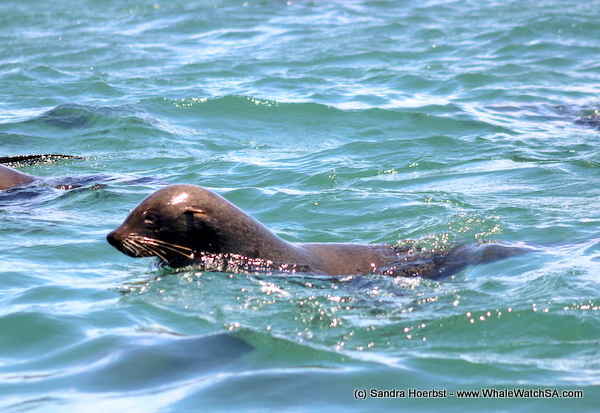 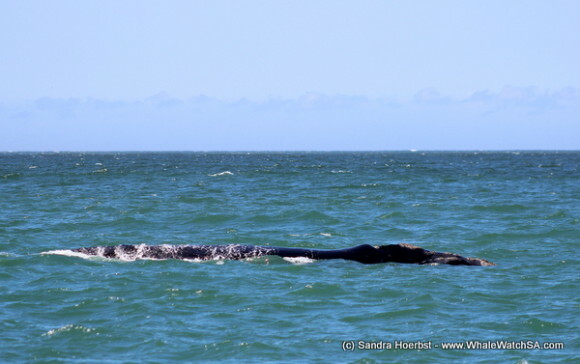 The Southern Right whales we observed today were really relaxed around the vessel. 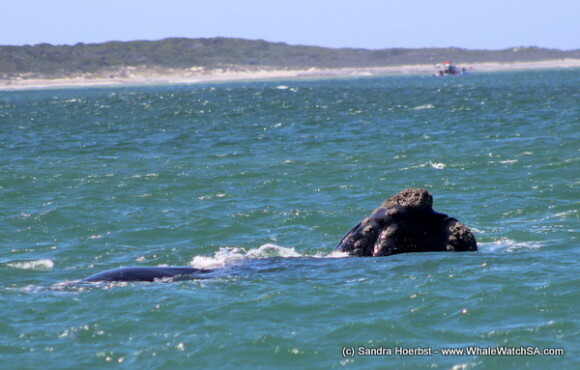 One calf was busy playing with its mother, while the mother was so calm. 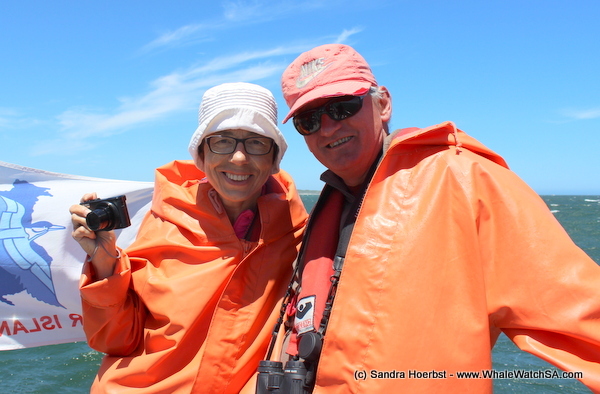 Before heading to the Island we stopped at the shark cage diving vessels, who anchored in the shallows and had a look at the Great White sharks. 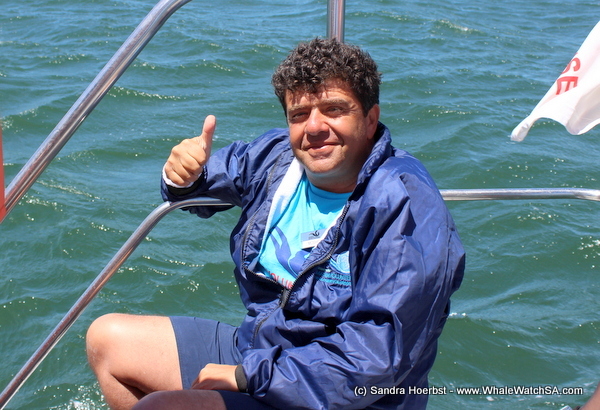 Safely back in the harbour, everybody was happy that we had such a nice day.